Sofi Spritz were wanting to showcase their beverages and share their unique Italian style with the everyday Australian consumer. Their stylish bottles contain a natural alternative to existing alcoholic beverage options and are to be enjoyed in a casual setting. In time for the holidays Sofi needed images that were sweet and summery to capture the aesthetic of the unique 'Sofi sunsets' experience. After experimenting with freelance photographers and influencer platforms Sofi were ready to invest in some quality, creatively styled custom content. They wanted to capture the spirit of aperitivo and generate their own Pinterest worthy owned assets optimised for a social audience. Enlisting Creatively Squared enabled Sofi to engage three creatives from within their own target customer segment to style the type of content they would want to see. Sofi use only high quality, natural ingredients in their drinks and wanted their products to stand apart from the existing market of artificial pre-mix beverages. Each unique flavour was represented and keeping with their brand personality of understated elegance, the photographs featured the burst of natural elements and fresh fruits and flavours. 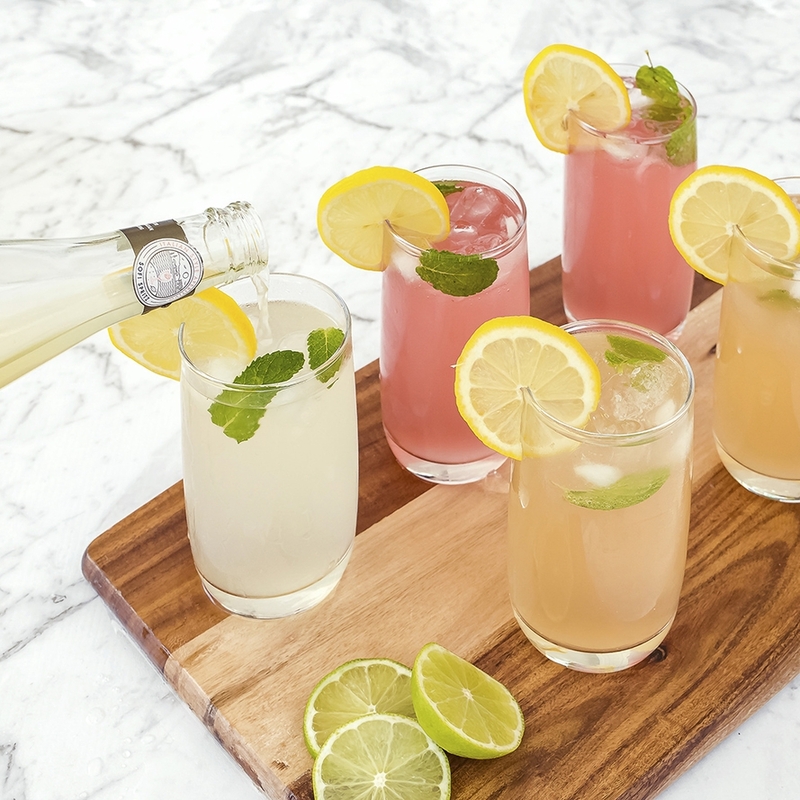 These summery beverages are designed to be garnished and served in a glass over ice. Creating these inspirational serving suggestions using fresh ingredients was an important part of the Sofi Spritz brand vision. The photographs captured the feel of the brand and the experience of enjoying the beverages served, shared and enjoyed on location. After providing their brand guidelines to the creatives Sofi gave them the freedom to interpret the brief for the shoot however they liked. The resulting campaign was a mix of impeccably styled drinks featuring fresh ingredients and breezy outdoor experiences, perfectly capturing the feeling of summer. By working outside of a studio environment the creatives were able to take the beverages out to the beach and enjoy them with friends while capturing the authentic Sofi Spritz moments as they occurred. The variety in the images gave Sofi the ability to fill out their content calendar and keep their audience engaged with fresh, eye catching images of their products.